I’ve heard lots of political speech rebuttals, blog post rebuttals, book review rebuttals, interview rebuttals, and editorial rebuttals, but I can’t remember the last time I stumbled upon a full blown book rebuttal – until recently. About a year ago, I read Michael Lewis’s “Flash Boys: A Wall Street Revolt“. Mr. Lewis, a former Salomon Brothers bond trader, is a major league author who has penned a gaggle of incendiary best-sellers such as “Liar’s Poker”, “The Money Culture”, “Moneyball”, and “The Big Short”. Coupled with my utter disdain of Wall Street’s “risk management” practices and its apathetic “let them eat cake” attitude toward Main Street, I seem to always end up wanting to take up arms and go “occupy Wall St.” after reading one of Mr. Lewis’s books. But of course, I never do. 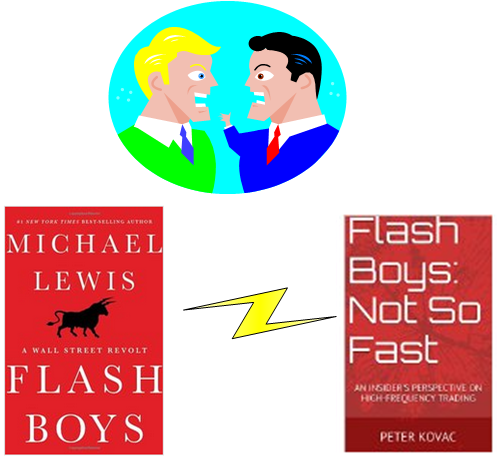 “Flash Boys” so enraged former high-frequency trader Peter Kovac that he felt compelled to write a full blown, point for point, rebuttal book titled “Flash Boys: Not So Fast“. 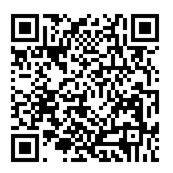 Out of curiosity, I downloaded and read the free kindle sample of “Not So Fast“. Although Mr. Kovac makes a very valid point in that Mr. Lewis never spoke to any inside high frequency traders during the research phase of “Flash Boys“, I declined to buy and read the full book. I didn’t buy it because, just as Mr. Lewis (and BD00) is biased against Wall St. psychopathy, Mr. Kovac is biased for Wall St. and our so-called free markets (which are really hostage markets rigged for the rich and powerful to leave Main St. in the dust). Every person, with very, very, very, few exceptions (the Buddha, Jesus, Echart Tolle, J. Krishnamurti, Sri Ramana Maharshi? ), feels strongly about certain man-made values and principles. Since I’m not one of those exceptions, I say “Nice Try!” to Peter Kovac. Thanks, but no thnks. Good points EXCEPT putting Jesus in the company of Eckhart Tolle Buddha etc. Pffffff. Read some patristic books or at least articles.